You trust STAINMASTER® carpet for durability, style and easy clean-up. 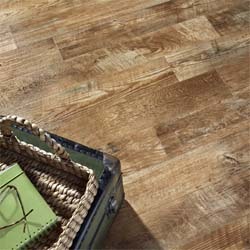 Now those same qualities can be found in STAINMASTER® resilient flooring. It's the perfect choice for kitchens, baths, laundry rooms, mudrooms - anywhere you need the practicality of resilient and the lasting beauty of STAINMASTER®. STAINMASTER® resilient is style you can really live with.